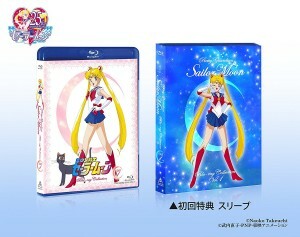 Great news for completists who want to have Sailor Moon in the best possible quality! The original 90s Sailor Moon anime is coming to Blu-Ray in Japan with the first half of season 1 coming out on June 14th 2017 and the rest of season 1 coming August 9th. These are Japanese language releases with no English audio or subtitles. 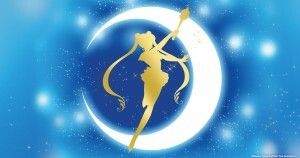 Following the release of the first season Sailor Moon R and then the 3 movies will be released. These sets won’t be cheap! This first volume, containing episodes 1 to 23, is being sold by Amazon Japan for 15,903 yen, about $140 US. 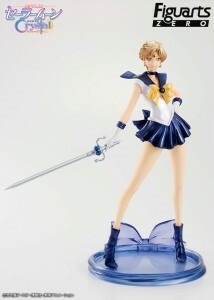 Set 1 and set 2 are also available from CD Japan for $175 US a piece. 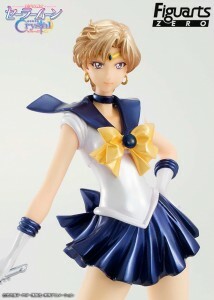 This is also listed on the Sailor Moon 25th Anniversary page. 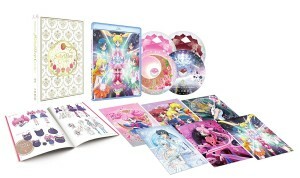 Why, you might ask, would I buy this set when Viz already released a less expensive Blu-Ray set of the Sailor Moon anime and I can watch these episodes for free in HD on Yahoo! View? Quality! The Viz release didn’t look great and to this date the Japanese region 2 DVD releases remain the gold standard of video quality. Some other international releases have been comparable in quality but nothing released in North America has really been close. The HD version of the original Sailor Moon series has been aired on Japanese TV since April 6th 2015. Unfortunately we shouldn’t expect anything too mind blowing in the way of quality. 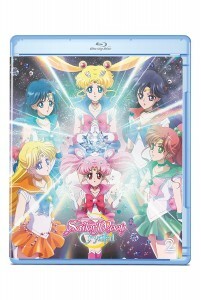 This won’t look like Sailor Moon Crystal or any other recently made anime series on Blu-Ray. The product description on the Amazon Japan listing and the official site clearly state that the HD video source was upconverted from SD source material, that being a standard definition of 480 lines of horizontal resolution. What this means is that this isn’t a high definition transfer of some analog film source but instead a software upgrade of the source material which had DVD equivalent resolution. This may be a practical consideration. 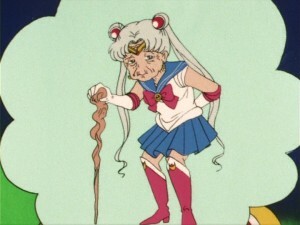 I don’t know if Sailor Moon ever existed on film or if the cels were recorded directly to standard definition video. You can’t get something from nothing. While the software scaling to improve the video will likely appear nicer than anything else we’ve seen, it’s still just software tricks to resize, resample and smooth out the picture, something that TVs and Blu-Ray players are also able to do with a good quality DVD. I don’t expect this video quality to be a significant improvement to the Japanese DVDs that are already on the market, but this is always a bit subjective. It should be noted that up until now only the first season of Sailor Moon and the movies were ever released in progressive scan (480p). Sailor Moon R, S, SuperS and SailorStars were only ever released in lower quality interlaced video (480i). These releases will almost certainly have gone through a software deinterlacing process which will make them appear nicer on a more modern flat panel display instead of the CRT TVs that were common in the 90s when Sailor Moon was originally produced. The movies may also be of a higher quality if the original film source is used. When the region 2 Japanese DVD releases of the films were released they went back to the film source to create anamorphic widescreen releases rather than using the matted standard definition source material. 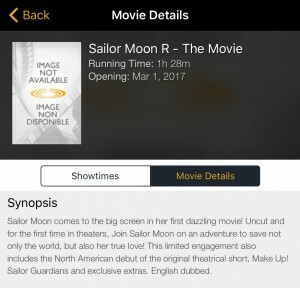 I’m hopeful that this release, and perhaps even the Sailor Moon R movie Viz will be releasing in April, will have a legitimate high definition transfer. 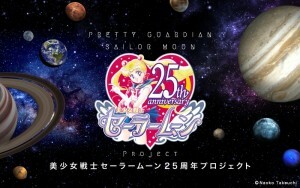 To advertise this, as part of TOEI’s 60th Annivesary, the official Sailor Moon site has announced that fans in Japan can watch the first episodes of Sailor Moon and Sailor Moon R on TOIE’s YouTube channel. These videos, however, are not available to view outside of Japan. These discs appear to be free of region restrictions, meaning that they will play in any country’s Blu-Ray players. Note that Japanese Blu-Ray coding is a non issue for North Americans who share region A with Japan. The lack of English, however, may be more concerning. Do any of you moneybags have enough disposable income to justify this purchase? By this summer I’ll be knee deep in diaper and formula bills but I’ll likely still scrounge up the many hundreds needed to buy these sets. 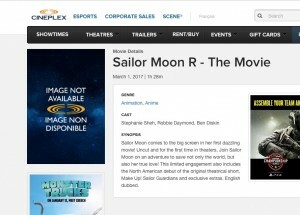 According to this listing for Sailor Moon R The Movie on the Cineplex site we will be getting Sailor Moon R: The Movie in Canada on March 1st. Since the film was first announced I’ve been anxiously searching for the it on the Cineplex site as they are a major Canadian film distributor who have played anime films in the past. The movie opens in theatres across the US today. You can check out the many cities with showings on the Eleven Arts web site. This is great news for Canadian fans hoping to see the film in theatres prior to it’s April 18th home video release. We don’t have a list of theatres in Canada which will be playing the film at this time but I will be sure to update you with details as we learn them. 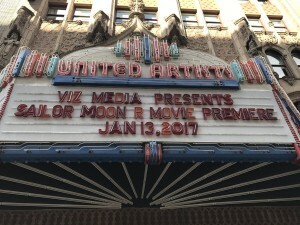 Sailor Moon comes to the big screen in her first dazzling movie! Uncut and for the first time in theaters, Join Sailor Moon on an adventure to save not only the world, but also her true love! This limited engagement also includes the North American debut of the original theatrical short, Make Up! 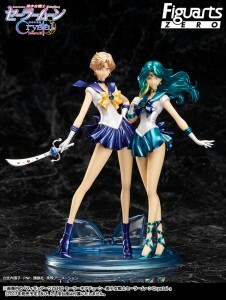 Sailor Guardians and exclusive extras. English dubbed. Will you be watching the film in theatres if it plays in your city? For those of you living in the US, have you already seen it? 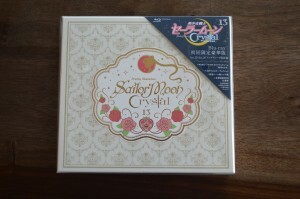 It’s been a while since the first story arc of Sailor Moon Crystal was released on home video back in August. 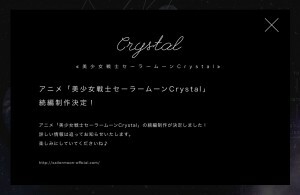 Fans have been waiting for news about Sailor Moon Crystal Set 2, including the Black Moon story arc, being released on home video. Amazon and the Right Stuf have listed the product for a February 21st release. Amazon has listing for the regular and limited edition with box art included. The Right Stuf also has the limited edition Blu-Ray, regular edition Blu-Ray and DVD listed with prices. They’re selling the limited edition Blu-Ray for $62.99, the regular edition Blu-Ray for $54.59 and the DVD for $31.22. Who sets a price ending in 22 cents? Mind boggling. The box art seems consistent with the first release. 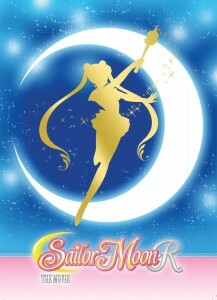 The limited edition cover features Sailor Moon’s third transformation brooch, the Cosmic Heart Compact, which only shows up at the end of the second story arc. 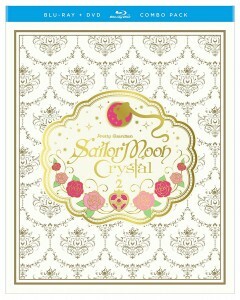 This is because this is the cover from the final volume from the original Japanese Sailor Moon Crystal releases. I’ve included a picture of that cover above for comparison. I’d uploaded this picture to a post that I never actually finished reviewing that set. 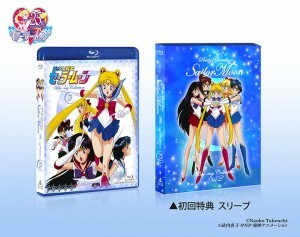 This set will include the English dub of Sailor Moon Crystal which we’ve already heard for these episodes. The regular edition box art will also likely be that shown on the case which is included inside the special edition set. Details of the release are included on the packaging. We see that this will include episodes 15 to 26. 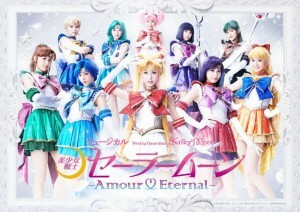 A special feature mentioned is an interview with Momoiro Clover Z, the band which performed Moon Pride, the Sailor Moon Crystal theme. The set is rated TV 14 in the US and PG in Canada. Maybe it’s the whole making out with her dad thing. The set includes art of the original Japanese covers and a full colour special booklet. For now you can’t actually preorder the set using the links below, but at some point in the future you should be able to. The set is coming out next month after all! 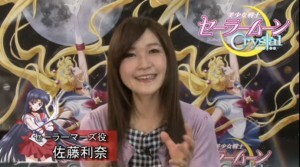 Rina Sato, who provided the Japanese voice of Sailor Mars in Sailor Moon Crystal, has announced that she had a baby boy at some point this year. According to a number of Japanese news sites this was mentioned in a blog post on December 31st, the first she’d made since August. She also mentioned getting married. When exactly this occurred isn’t clear. I’m a bit surprised to learn this news! 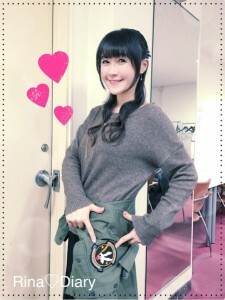 While Rina Sato has not been active on her blog she has still been consistently posting to Twitter throughout the year. Her posts talk about attending various events, many of which are accompanied by very much not pregnant photos of herself. That said there is a lengthy gap in which there are no photos of her during the first half of 2016. Her blog post mentions that this is a private affair, so it would make sense that she not share details about it on her professional Twitter account. All considered I would say it’s likely she had her baby boy earlier in the year rather than later. Congratulations to Rina Sato! I wish her all the best in this new chapter of life.